Yacht design is an ever-evolving field and with cutting-edge new technology emerging all the time, it is easy to get left behind. At the recent Superyacht Design Symposium, we caught up with some of the key influencers in the industry to find out what is shaping the future of yacht design. “I think in the end, the future of yacht design will be determined by a combination of the designers, the clients, and of course, the shipyards,” said Rose Damen, commercial director at Dutch yard Amels. 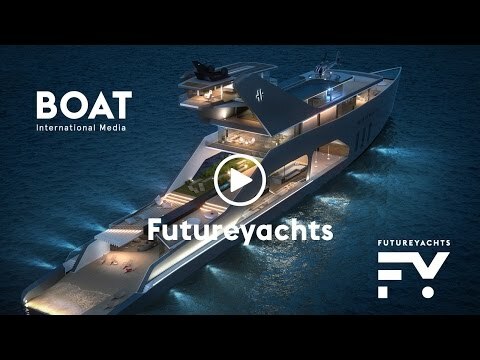 “It will be very much driven by the client’s needs as in the end they are the driving force — without a client, we won’t build a yacht,” she added. Shaping the future of yacht design is something that both the new generation and the established names need to take a responsibility for, according to Andrew Winch, founder of Winch Design. Referencing Leonardo Ferragamo’s keynote speech at the 2016 Superyacht Design Symposium, Winch concluded that the industry always needs to be moving forward with new ideas. Luca Bassani, founder of Wally, revealed that his company has a series of new hull forms on the drawing board, but concedes that it takes a brave client to bring fresh ideas onto the market. All of these ideas and much more will be examined in Futureyachts, the forthcoming bookazine from Boat International Media, which will be published in spring 2017.